Hey everyone! Today’s post is pretty international and a reminder of our childhood. 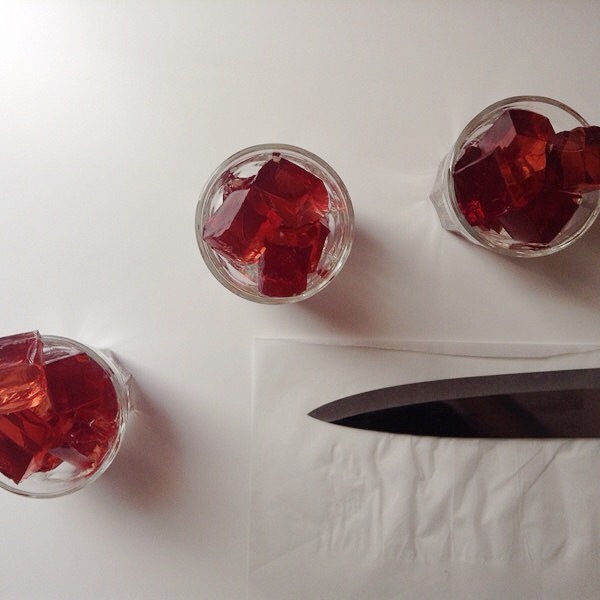 I remember when I was a kid my mom would let me make homemade Jell-O with her and it was awesome. 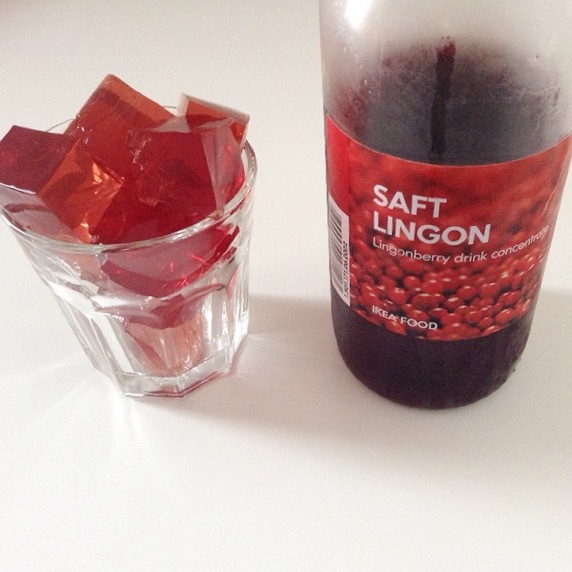 This is the same thing except with lingonberry, it’s a Scandinavian fruit that is sort of like a cranberry. The taste is pretty awesome and you feel like a grown-up eating this. 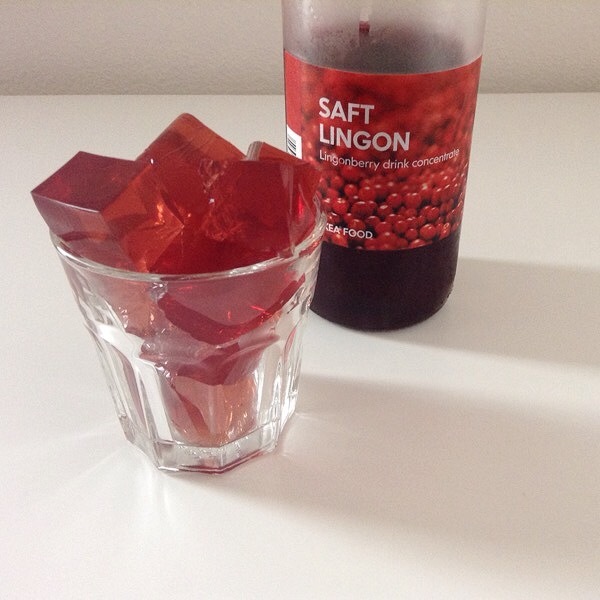 Behind the Scenes (BTS): I found the lingonberry concentrate on a trip to IKEA, I’m redoing my room and trying to buy more kitchen stuff and stumbled upon it. I didn’t know what it was exactly but I wanted to give it a try so I bought the concentrate and the jam, when I came home and tried it I found out it tasted familiar, like a tart berry fruit you find here in America, but still had a unique taste that was foreign to me as well. 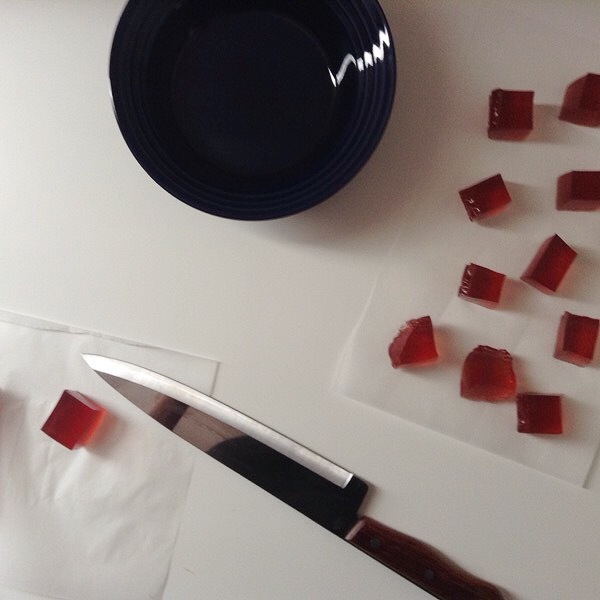 It seemed like a swell thing to try so I decided to try it in a fruit jelly first. 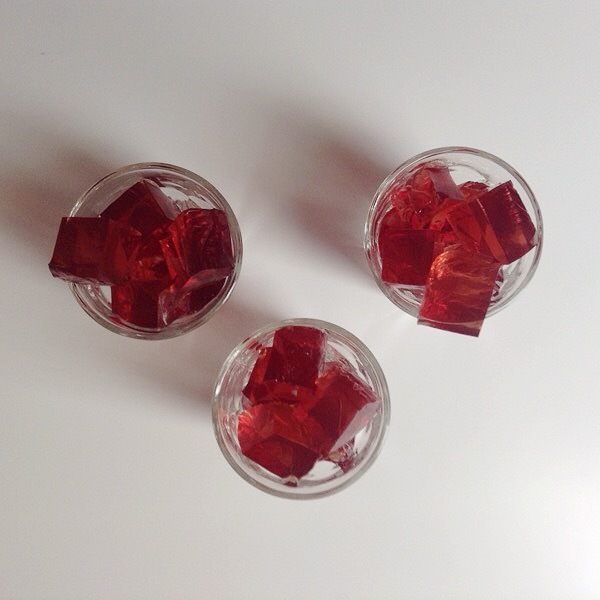 Fruit jellies are extremely easy to make and when you make it at home it’s really organic and it has the base flavors of what you put in it. I thoroughly enjoy this berry juice and have since found other ways to use it which will be in future post without a doubt! Adjustments: A fruit jelly is a fruit jelly is a fruit jelly, there are no real adjustments necessary, one of the main things about fruit jellies are that the flavors you put in them are the flavors you’re going to get out of them so make sure when you make the juice from the concentrate and water that there’s enough of a flavor for you to enjoy the jellies. 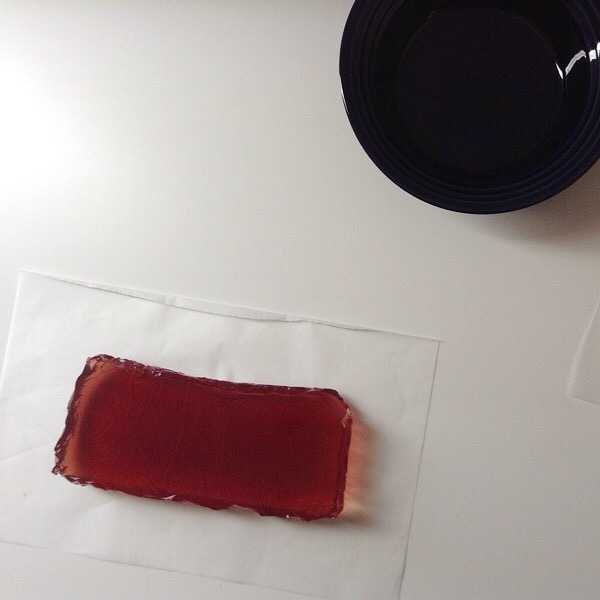 If it’s not flavorful enough for you try 2 cups of concentrate and 2 cups of water instead. This should give it an extra kick of flavor. Alterations: The alterations of fruit jellies are endless, obviously if you’re not into the whole lingonberry thing then you can simply interchange it with another fruit of your choice, but if you want to expand on the lingonberry and add other fruits to it as well then orange juice would be an exceptional winner. Cranberries, blackberry and other berry fruit as well can be great flavor combinations as well. Just instead of adding water add the juice to mix with the concentrate. If you’re going to do this though make sure to taste the mixture to make sure the sweet to tart ratio is to your liking, if it’s not adding a couple extra tablespoons of sugar to the mixture when boiling should help counteract some of the tartness, add 1 tablespoon (15 grams) at a time though. 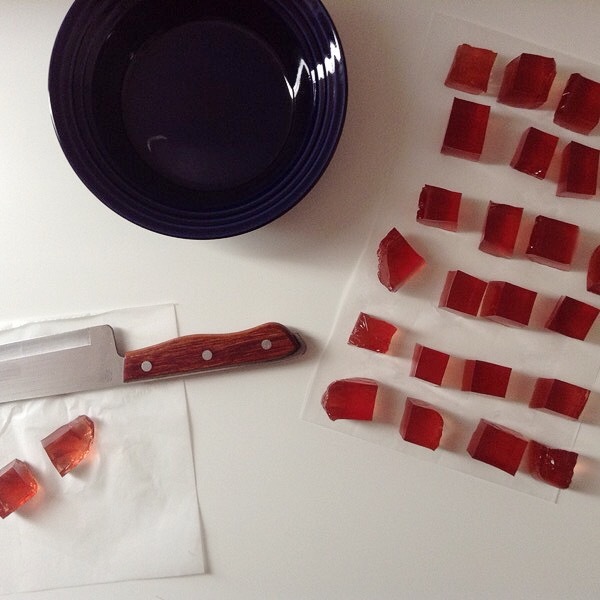 Helpful Hints & Suggestions: Like I said before fruit jellies are extremely easy and if this is your first time making it or you simply don’t need this much you can cut the recipe in half or in fourths no problem, I would say patience is key and to not take the fruit jellies out until it has fully set. Mine took only three hours but just for safe measure I left it overnight. There was one time I left it for a couple days and it was extremely easy to cut through and was still fine to eat. When it comes to cutting it should be fairly easy but if for some odd reason your cutting tool sticks to the jelly then brushing the knife with some vegetable oil should stop the sticking. Also when it comes to storage, keeping it in a Tupperware container is fine. Ta-Ta-For-Now: Well I’m off. I hope you all enjoy this recipe and if you have any questions don’t hesitant to ask in the comment sections. I will answer to my best ability and as quickly as possible. Have a wonderful day! 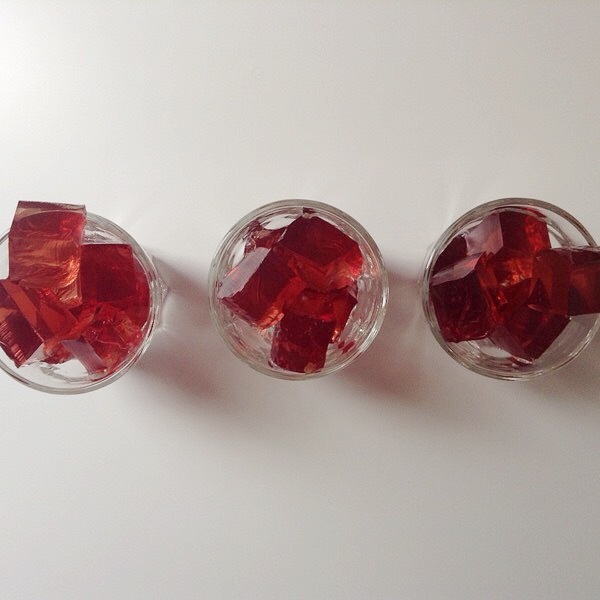 Mix, Divide, Heat & Chill: Combine your Lingonberry concentrate and water together. In the small sauce pan heat 3 cups of the Lingonberry juice and sugar until boiling and in another bowl mix the four gelatin packets into the 1 cup of Lingonberry juice. 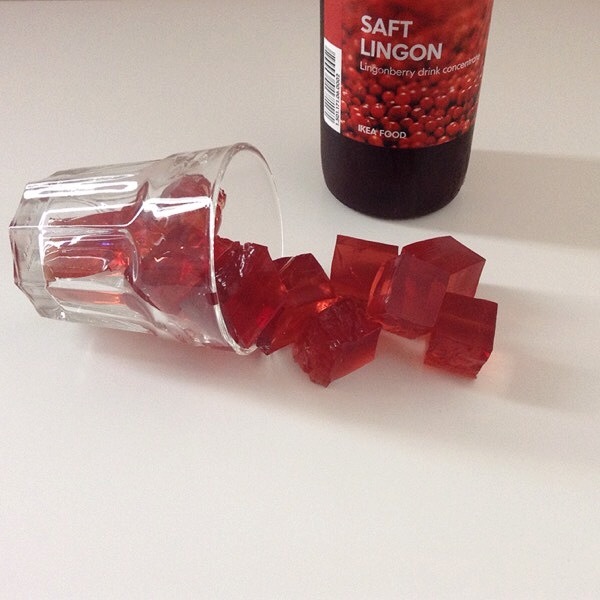 Once the Lingonberry juice comes to a boil pour into Lingonberry gelatin mixture and begin to stir until fully dissolved. Pour into your baking pan covered in wax paper, put it in the fridge to chill and set which will take about three hours to overnight. 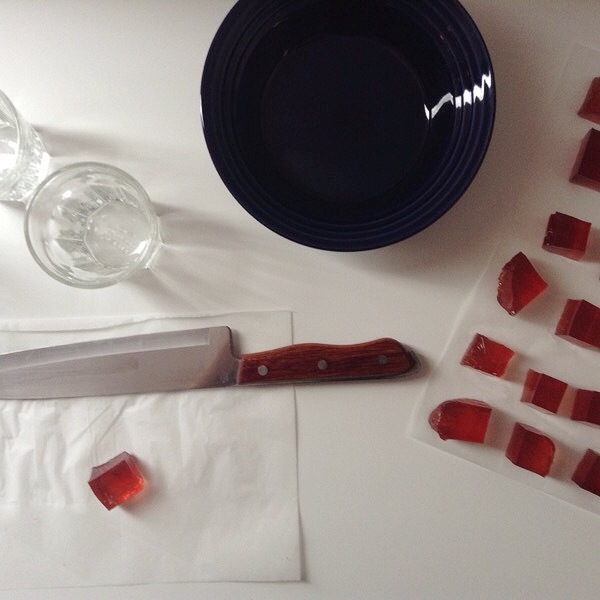 Cut and Serve: Flip your jelly onto a clean surface or parchment paper and cut into desired shapes and enjoy!